Completing the article from this morning, this post looks at the final two examples of potentially damaging response we can have to our friends struggling with mental health problems. I will also attempt to summarise the material we've looked at this week, but I strongly encourage you to talk to your friends, church leaders, CU leaders, parents and pastors. If you or someone you love is affected by some of the issues mentioned this week, take time to pray for wisdom and humility that will speak and listen with the goal of becoming more Christ-like ever central in our hearts. It’s no secret that mental health diagnoses are becoming more common. It’s possible that people are diagnosed ‘unnecessarily’, and there are many who have understandably lost faith in the integrity of being diagnosed. However, this anti-psychiatry posture can be extremely damaging to the building of relationship and can ignore important aspects of a person’s suffering. If nothing else, a psychiatric diagnosis tells us one thing: something hurts. It reminds us that their experience is different from our own, and they may suffer in some more intense ways. As the family of Christ, we are called to move towards and support our brother or sister. As we’ve seen in the previous section, all we know is something hurts and God has not sent us on a riddle-solving mission. This is the time to be humble: before God and them. Don’t assume to know what they’re going through and what they need. Don’t assume to know what God wants from them. Even if you are a professional, don’t switch into counsellor-mode. We can recognise that we live in the same fallen world and we have also experienced hurt, but we must speak to them only as a sister who sees that our situations are unique. You do not know the full extent of their weaknesses, and what was right for you in a similar situation, may not be right for them. So take your time, get to know them. Only then might you have some God-given advice to offer when they ask. Those who offer advice tend to have some expectation that the illness will improve if the right measures are taken. Tragically, this is not always the case with mental illness. Chronic fatigue, anxiety, even depression, and many others, don’t often ease quickly, if ever. Don’t tire in your care for the person. They may follow your advice diligently. They may repent every day. But there is no golden advice or penitent prayer that can force God’s hand in drawing the timeline of a person’s life. If they continue to suffer long after they have sought and received help, your care should only intensify, never fade. There might seem like a lot to take in and keep in mind from this week: Say this, don’t say that, ask this, never suggest that. It was never my intent to leave you feeling daunted. In fact, I want you to feel confident. I pray that these articles and testimonies will fill you with the kind of confidence that believes that the tools we have in Jesus Christ (prayer, Scripture, love, and compassion) are immensely powerful. The very fact that you’re reading this shows that you care about people in the area of mental health; what a gift of the Spirit that you’ve been given that love for others. Don’t let that love put you on egg-shells. Your friend, no matter how fragile they may seem at the moment, has the power of God protecting them. Move towards them yourself: Be humble. Don’t go on a riddle-solving mission, downplay the seriousness or offer pearls of advice, just seek to understand them well enough to pray for them. Move towards them as a community: Figure out what needs to be done and do it. Don’t wait to be told by them but seek the wisdom of the community. Move towards the family: Don’t brush it under the carpet, but talk openly about it. Enable them to ask for and accept your help for the long term. 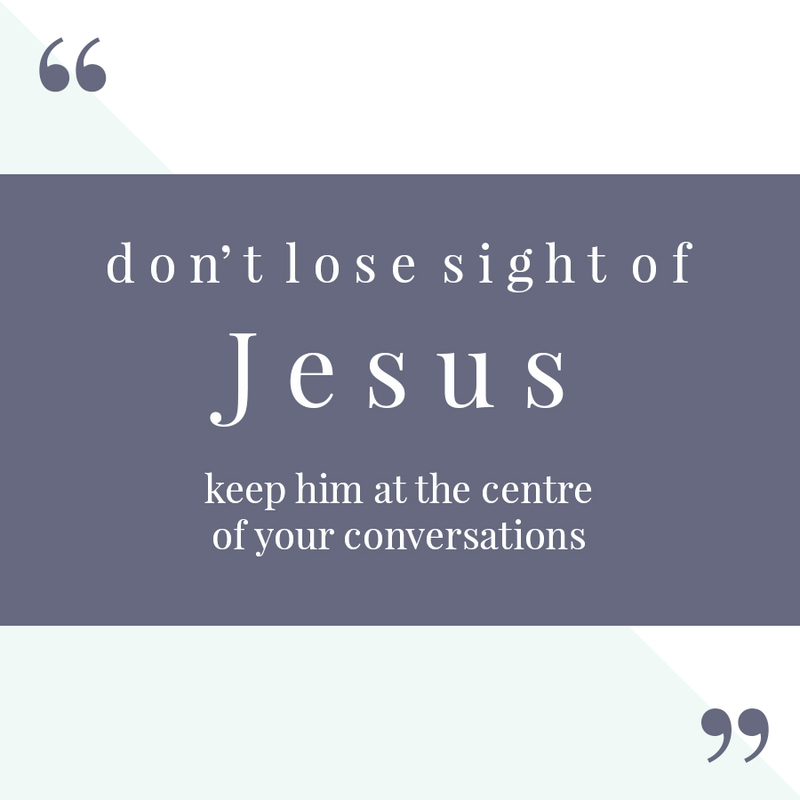 But most importantly, don’t lose sight of Jesus. Keep Christ and him crucified at the centre of your conversations (1 Cor 2:2) in the firm knowledge that “suffering from broken bodies cannot restrain Christians from spiritual growth and even fruitfulness”. Mike Emlet – What's in a name?